To be a Sox fan at the beginning of the decade was to live in a sports hell: no world championships in 80 years and the hated Yankees racking up more rings than Liz Taylor. 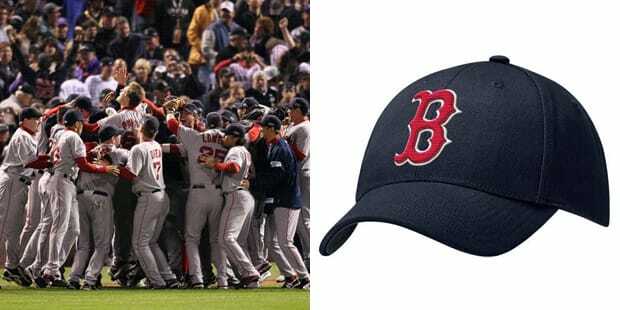 Then a funny thing happened on the way to Boston getting swept by New York in the 2004 American League Championship Series: Dave Roberts stole second, Dave Ortiz bopped a home run, Curt Schilling bled all over his sock, and Alex Rodriguez played patty cake with Bronson Arroyo. Next thing you know, the BoSox have two World Series titles, and the truly unthinkable happened: all the insufferable Massholes we know suddenly got even more annoying. Wicked pissah indeed. In 2004 the Sox became the first team to win eight consecutive games in a single postseason.